A wifi extender is a simple device that boosts the strength of the signal coming from your wireless router. They can be used to extend the range of your wifi or to boost signal strength. 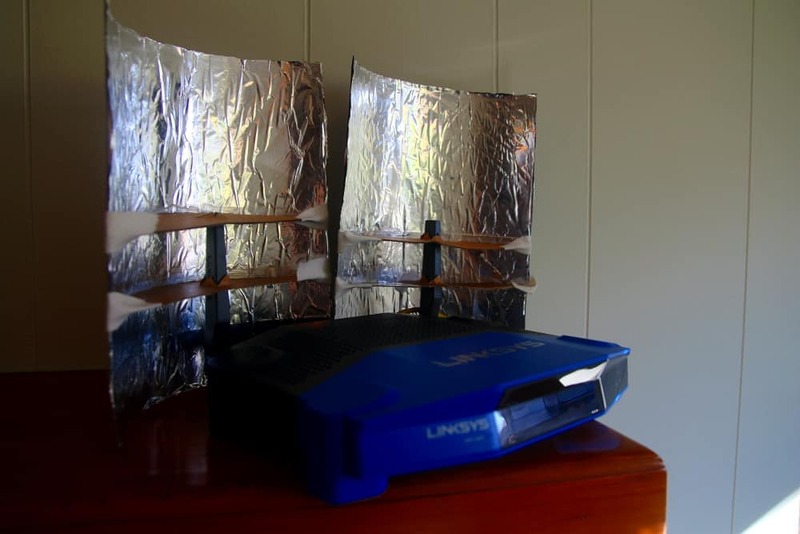 Many wifi extenders and repeaters are available online, but if you want to save some cash, you can make your own with a few household materials and tools that you probably have on hand. See also: 10 ways to increase your wifi signal strength and range. In this tutorial, I will build and test two popular designs for DIY wifi extenders. 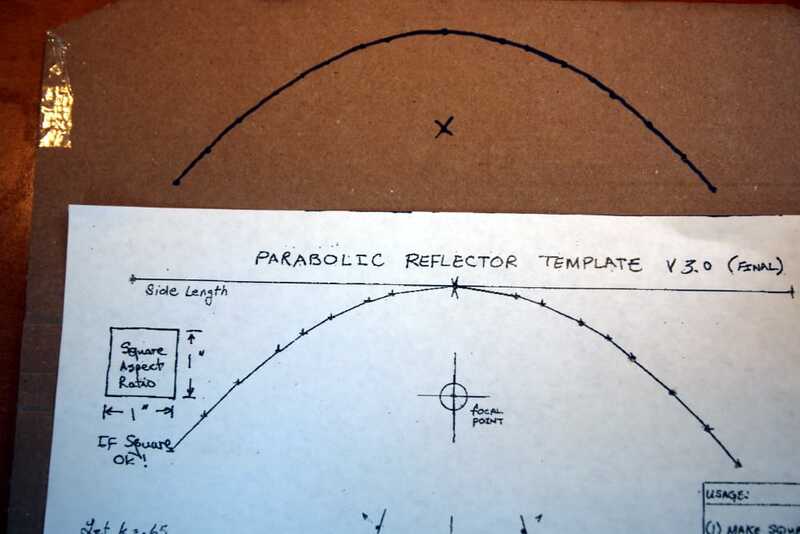 They both use parabolic reflectors to direct radio waves in one direction. This means your wifi will get stronger in one direction but weaker in the opposite direction. This is useful if you have a room in your house where the wifi doesn’t quite reach, or if you own a small business with open wifi and you want to direct the signal away from moochers in a nearby apartment complex. Both of the antenna designs we use come from Freeantennas.com. To keep things simple we printed both onto plain A4-sized paper using the default size. You can scale up or scale down the cutouts as needed. With all the materials in hand, you can make either of these extenders in about 20 minutes. You might find it useful to have some sort of clamp to hold things together while the glue dries or while you trace the cutouts. You can print the templates directly onto card stock if you have a printer and the material available. I didn’t so I just printed it onto regular paper, cut out the template, and glued that to some cardboard from a box of soda. Do this with both pieces. Cut out the templates. Remember to cut slits on the round piece where you see the “+” sign, and the six slits on the reflector. This can be a pain with scissors so if you have a pocket or X-Acto knife, it will come in handy here. It’s important to put the “+” slits in the right place. This is where your antenna will poke through, and it serves as the focal point for all those radio waves. Make sure it will be big enough that your antenna can fit through, but not so big that it won’t fit snug. If your router has multiple antennae and are making an extender for each, save yourself some time and trace the first cutouts onto your cardboard. Smear a thin layer of glue on the side of the reflector cutouts that don’t have the templates printed on them. Keep the glue out of the slits but close to the edges. 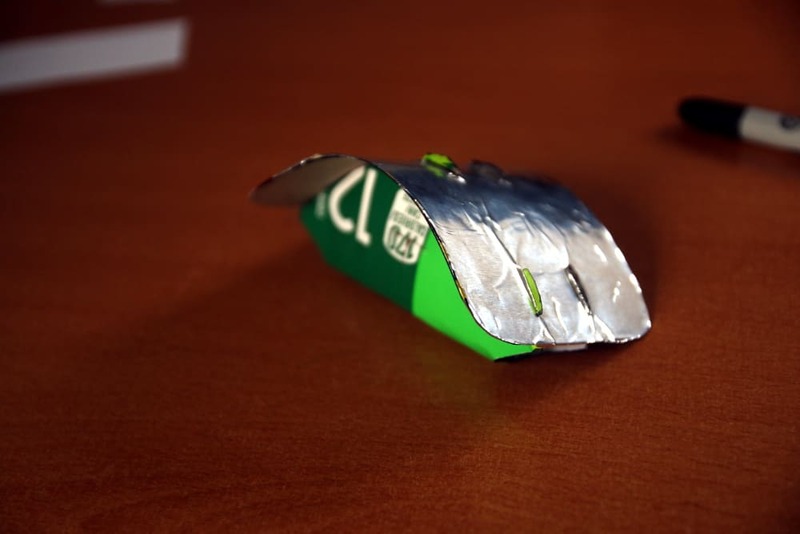 Place a sheet of aluminum foil on top of the fresh glue and press firmly. Try to avoid wrinkles and bubbles. 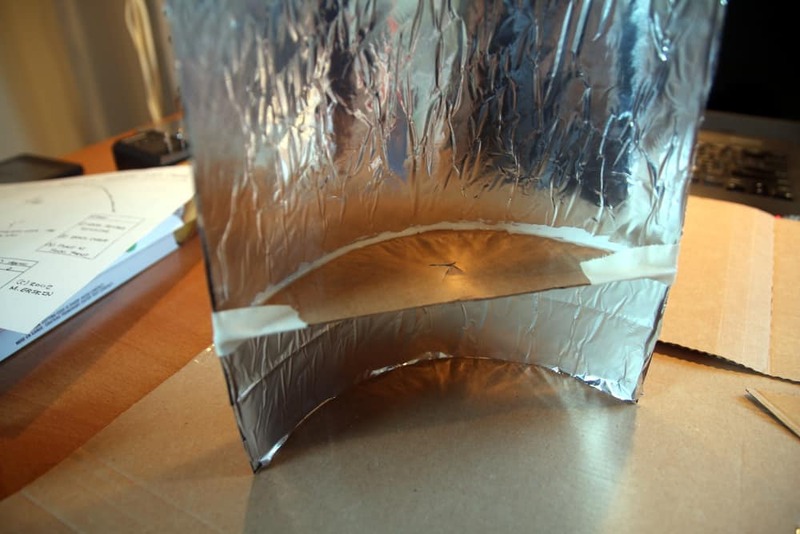 Then cut the foil to match the shape of the cardboard. Place the foil side down and use your scissors or knife to go over those horizontal slits again so they are in the foil as well. Now for the hard part. Bend the circular cutout in half so that the two “+” slits are directly over each other. Try to make it a gentle curve and not a hard angle. It should be fairly symmetrical. Start by pushing the center nubs through the center slits on the reflector panel. 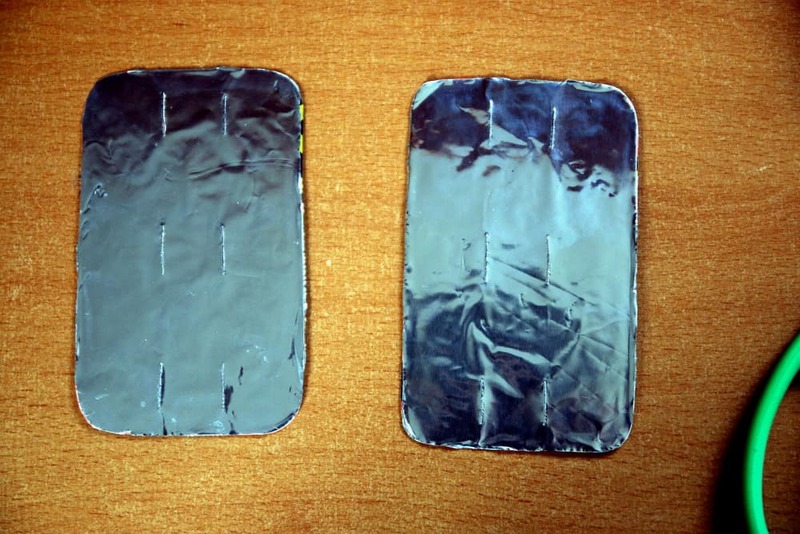 The foil on the reflector panel should be facing outward, away from the focal point. I’m not certain but I think this helps prevent wrinkles and bubbles in the foil. You may want to push your pen through the “+” slits on the circular cutouts to help hold things in place. It’s also a good idea to loosen up these holes ahead of time so that the extender doesn’t fall apart when you try to force it onto the antenna. Now move onto the other nubs and slits, gently pushing them through. Try not to bend the nubs or you will make things more difficult for yourself. Be patient. When you get one nub in place, another is likely to pop out. Keep working at it until they’re all attached to the reflector. Place the extender onto your router antennae. The top of the panel should be about even or just below the top of the antennae. Rotate the extender or the router itself as necessary so it points in the direction where you want a stronger signal. That’s it! You should notice an increase in range and strength of your wifi signal in the direction that the parabola is pointed. Note that this will weaken the signal in the opposite direction. See our test results below. Printouts of the design from Freeantennas.com. Note that I just printed out the large template onto normal A4 paper, and this ended up nearly being too big for my router. I would suggest scaling it down a bit. Glue – I used plain Elmer’s glue, but this turned out to be a poor choice when it came time to attach the struts to the parabolas. I recommend something stronger like hot glue or rubber cement if you have it. You might find it useful to have some sort of clamp to hold things together while the glue dries or while you trace the cutouts. I used a spare chip clip. Scotch or masking tape is also good to have on hand. 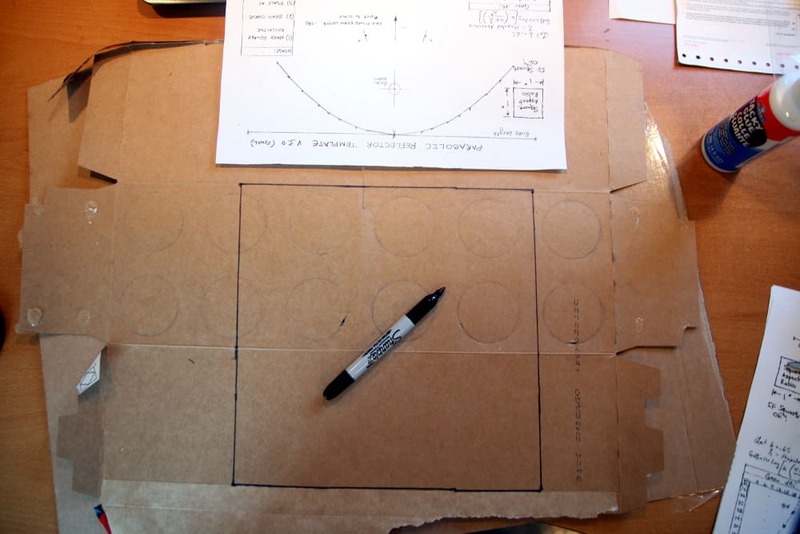 Start by using the line labeled “Side Length” on the template to draw four sides of a square onto your cardboard. Use something with a square edge (like the paper that the template is printed on) to make sure you don’t draw a skewed rhombus. 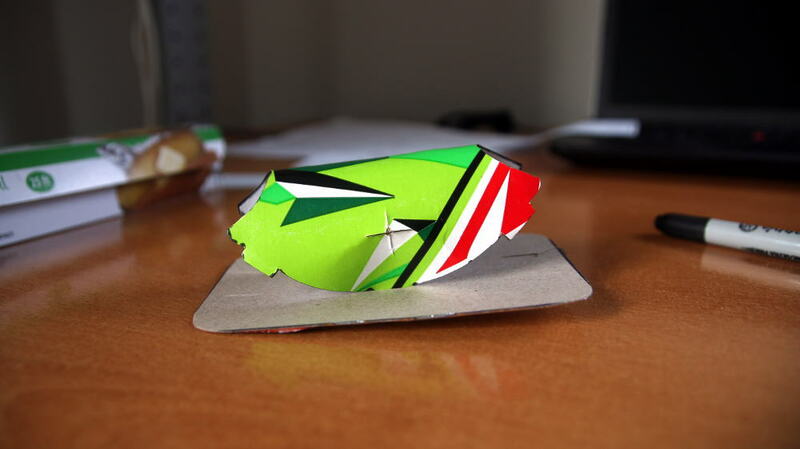 I did this by placing the paper on the cardboard and then punching a hole through with a pen at each of the corners. Cut out the square. This will be the reflector panel. 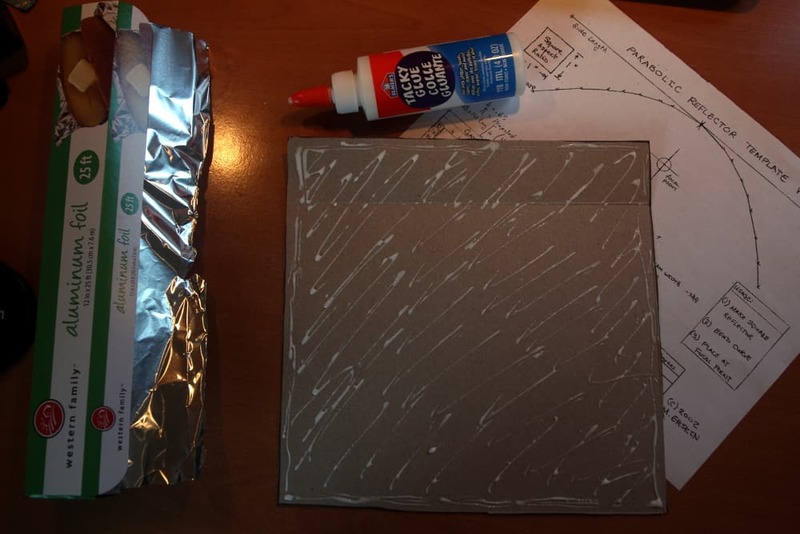 Smear a thin layer of glue onto one side of the panel. Be sure to get close to the edges. 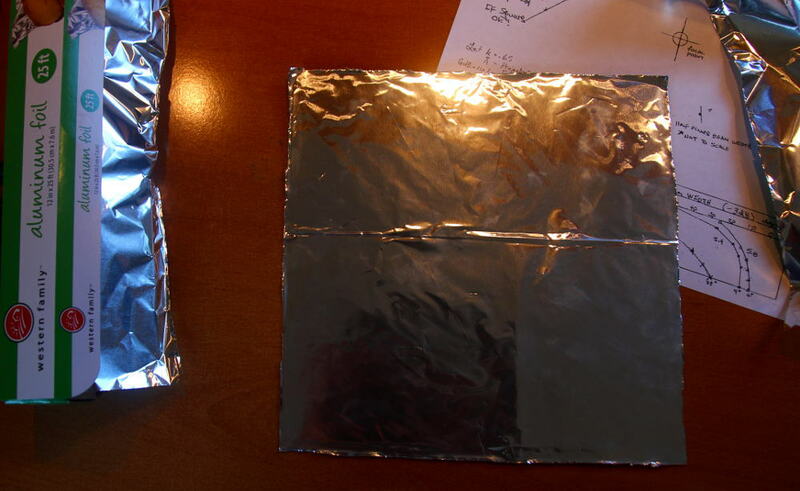 Place a sheet of aluminum foil onto the glue, covering the panel entirely. 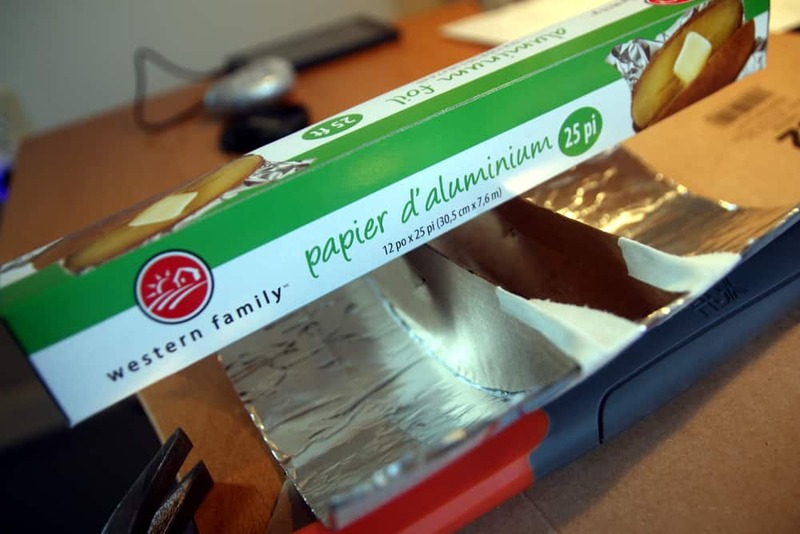 Trim off the edges of the foil so it matches the shape of the cardboard. Try to press out any bubbles or wrinkles. Mine has a seam in the cardboard that couldn’t be avoided. Set the reflector panel aside and let dry. Now for the struts. I recommend a thicker piece of cardboard, at least 1/4-inch think. Unfortunately I didn’t have any on hand, so I just went with the thickest stuff I had on hand. You can also use a different material for this so long as it’s not reflective. 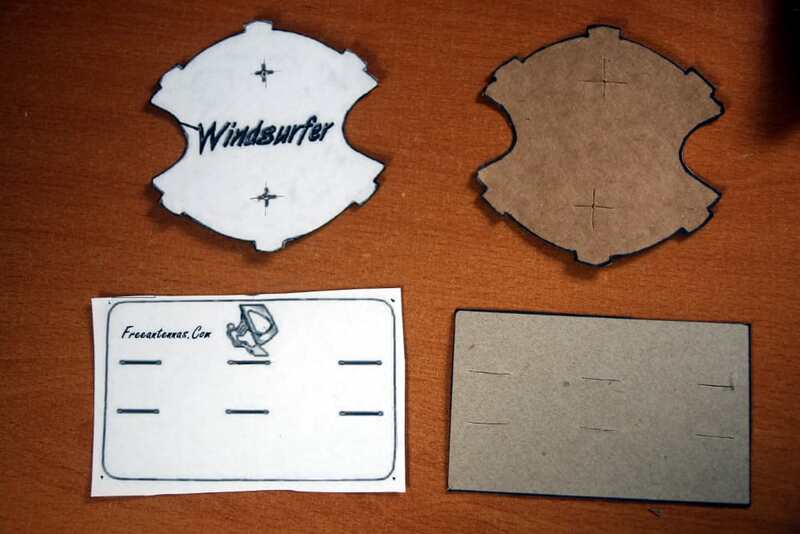 Clamp down the template printout onto a piece of cardboard, then use a pen to poke holes along the curve. Use a pen or marker to draw a line through those holes, connect-the-dots style. Make sure you mark where the focal point should be as well. The designer notes that getting this a quarter-inch off can result in a significant loss of decibels. Draw a straight line between the ends of the curve. 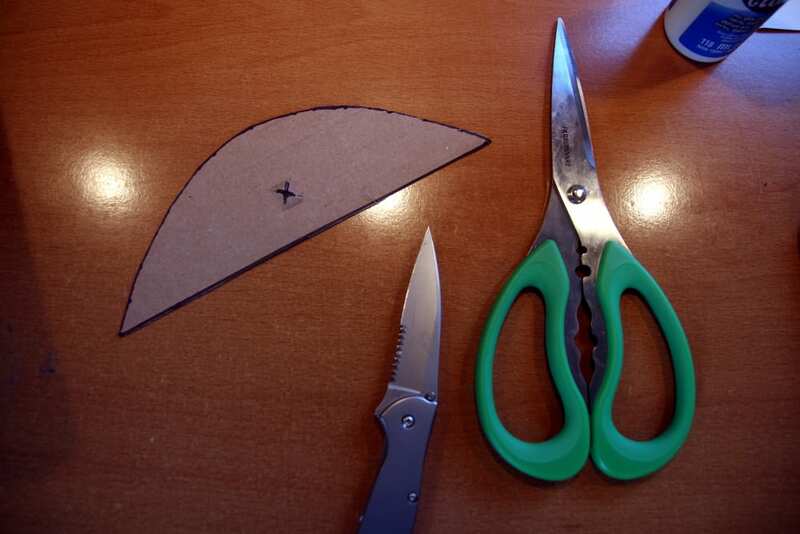 Cut out the strut, then use it as a stencil to trace and cut out another one. You’ll want two struts per panel. Now for the hard part. Line the curved edge of the strut with glue, and then wrap the reflector panel around it. The height of the struts depends on your antennae–the top of the panel should be level or a bit higher than the top of the antennae. Try to get the struts as close to perpendicular as you can to the panel. Note that this design has the reflective surface of the panel on the inside of the parabola, facing the focal point, whereas the windsurfer places it on the outside, facing away from the focal point. You can choose whichever you prefer. This is where it helps to have good glue like rubber cement or hot glue. I used Elmer’s glue and attempting to get everything to stay in place while the glue dried was a pain. I used some tape to help. I used some objects I had on hand to help ensure the panel didn’t peel away from the struts. Once the glue has dried, place the extender on your wifi antenna. You may want to stick a pen through the struts first to loosen up the holes. Point them in the direction where you want a better signal–or away from where you want less coverage–and you’re good to go! We tested these two wifi extenders on a Linksys WR1200AC router using the 5 Ghz frequency using the Wifi Analyzer app for Android. We recorded the signal strength in decibel-milliwatts (dBm) and the distance at which the signal dropped below -80 dBm and became unusable from outside the house. The extenders were pointed out a window where in the testing direction. Without any extender, standing about 10 feet away in the same room, we recorded -36 dBm. The signal dropped below -80 dBm at a distance of approximately 120 feet. 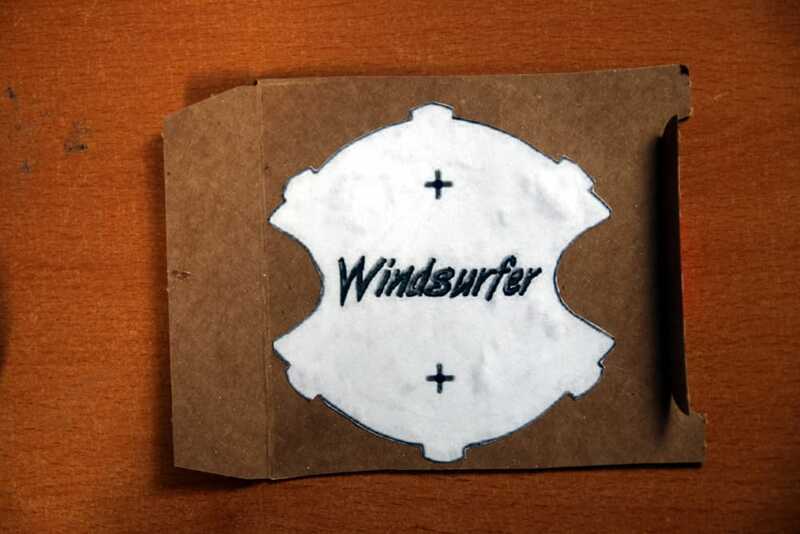 The Windsurfer extender increased the signal strength to -28 dBm, an 8 dBm improvement when standing in the same room. The distance at which the signal dropped out also increased to 140 feet, stretching 20 feet further. The Deep Dish boosted signal strength to -30 dBm, not quite what we got from the Windsurfer, but still a significant improvement. The wifi range rose to 150 feet, 10 feet further than the Windsurfer and 30 feet more than no extender at all. So the Deep Dish scored the best for range and the Windsurfer was best for power. The size difference probably has something to do with the results, but we’d say either one is a good choice. For what it’s worth, I think the Windsurfer looks better, but if I’m honest both are kind of eye sores. You might be better off trying out a different material with the Deep Dish, as well as a smaller template. These results are not particularly scientific and are just meant to give you an idea of what to expect. Your mileage may vary. Both of these designs were meant to be used with wifi routers that have external antennae sticking out, but many modern routers–the modem-router combos you get from your ISP in particular–often use an internal antenna. While we haven’t tested this ourselves, other DIYers have reported the Deep Dish design can work with internal antennae if properly placed, but don’t expect the same jump in power and range. 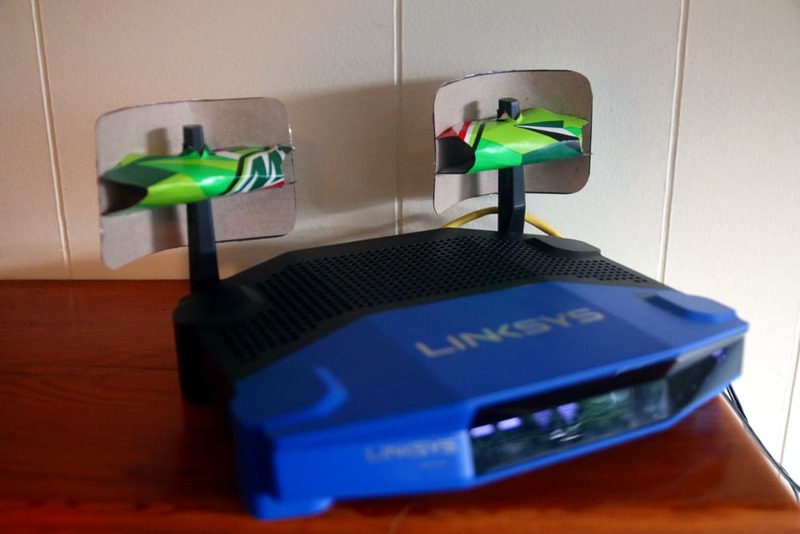 For those of you with multiple antennae, we recommend building multiple extenders. Make sure they are sized properly so that they’ll all fit. If you’re in a multi-story home and want to boost the wifi signal vertically between floors, things get tricky. For a single floor, your wifi antennae should always be sticking straight up and, if you have multiple antannae, parallel. You may need to lie them flat, parallel with the floor, to get the signal to go up and down. You can still use the wifi extenders we’ve built in this tutorial, so long as you can point them in the right direction. Always keep your antennae parallel if you have more than one. These extenders get the job done, but you might also be able to boost the signal from your wifi router by adjusting settings in the firmware. Depending on your firmware, you can amp up the throughput and achieve greater range and signal strength. Just be careful, as this will also make your router run hotter and could damage or shorten its lifespan. If your router doesn’t have this option, look into replacing the firmware with an open-source alternative like DD-WRT or Tomato. This will unlock capabilities that are walled off by the manufacturer’s firmware. Just use caution, as flashing the wrong firmware or flashing improperly could permanently brick the router.